Finding a safe, eco-friendly and affordable stocking stuffer for your baby can be tough. Candy is out, and many tiny organic toys are still very expensive. However, Under the Nile’s quirky and colorful, Baby Buddy Scrappy Dolls are the perfect solution! Made from 100% Egyptian organic cotton scraps left over from Under the Nile clothing production, these upcycled dolls are as sustainable as they are cute. At just 10″ tall, the tiny dolls feature knotted hands and feet that are easy for baby to hold, plus they’re GOTS certified, made at a Fair Trade farm in Egypt and contain absolutely zero Azo colorants, BPA, flame retardants, formaldehyde, fragrance, PVC or lead. To sweeten the deal, each of these little babies is just $8.00 a pop! Finding a safe, eco-friendly and affordable stocking stuffer for your baby can be tough. Candy is out, and many tiny organic toys are still very expensive. 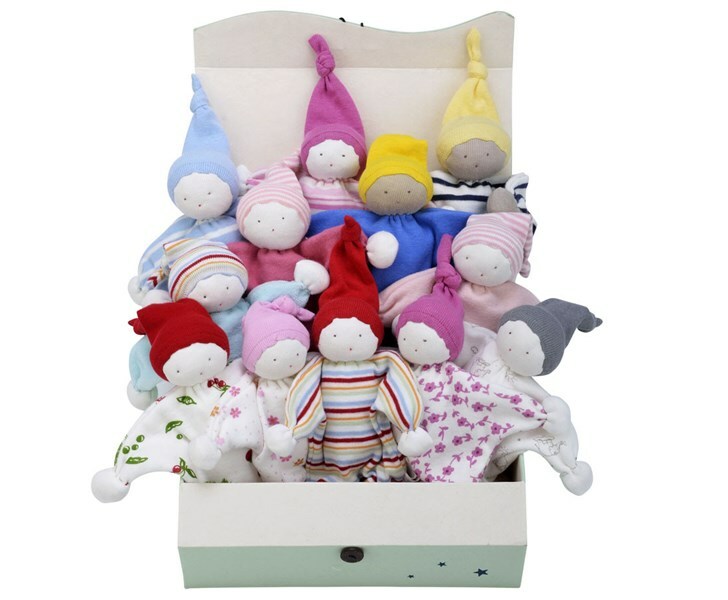 However, Under the Nile's quirky and colorful, Baby Buddy�Scrappy�Dolls�are the perfect solution! Made from 100% Egyptian organic cotton scraps left over from Under the Nile�clothing production, these�upcycled dolls are as sustainable as they are cute. At just 10" tall, the tiny dolls feature�knotted hands and feet that are easy for baby to hold, plus they're�GOTS certified, made at a Fair Trade farm in Egypt�and contain absolutely zero�Azo colorants, BPA, flame retardants, formaldehyde, fragrance, PVC or lead. To sweeten the deal, each of these little babies is just $8.00 a pop!